the canDIshhh tales: Contest Alert! 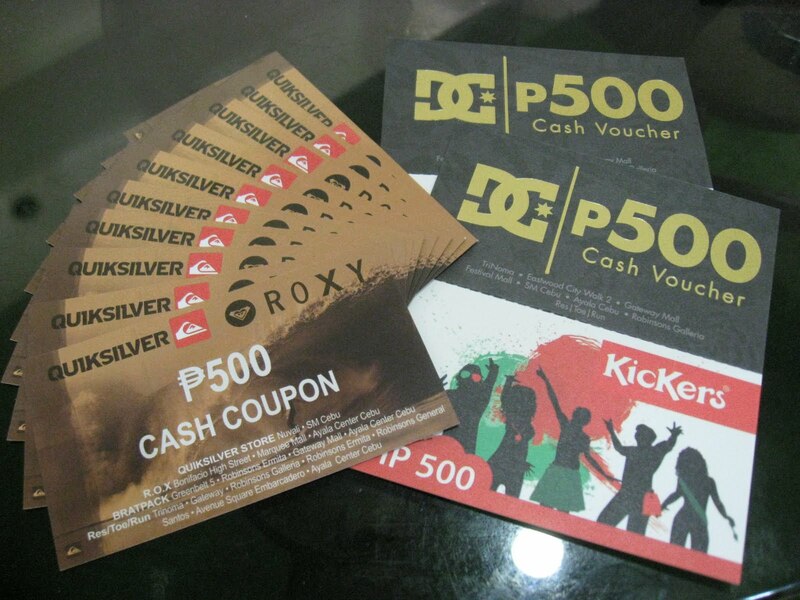 Kickers, Roxy & Quicksilver GCs! Contest Alert! Kickers, Roxy & Quicksilver GCs! I am giving away Cash Coupons worth P500.00 each! There will be a total of twelve (12) winners - each winner will get one (1) coupon. Contest will run from today until July 15, 2011 at 11:59PM. Since I will be using Random.org to pick out the winners, you can leave as many comments as you want! I will announce the winners on July 16, 2011. *These cash coupons CAN be used in Cebu!! Good luck and THANKS for joining!! i want to win dc|kickers cash vouchers too! I want to win a cash coupon of Roxy/ Quicksilver! Ohai, Didi, pa-reserve nung Roxy/Quicksilver for me please hahaha. Thanks! Winners! Roxy/Quicksilver & Kickers Cash Coupons!